Oculus has given back to the virtual reality (VR) community in many forms to help spread usage of VR technology into education and beyond. The company has built successful development labs and campaigns, including VR for Good, along with a nonprofit, the Global Virtual Reality Association, which promotes the growth of public and private VR projects by providing educational resources for developers, solution providers and policymakers. Oculus’ most recent initiative is to provide VR technology to dozens of libraries across the state of California, all free of charge. This pilot program is the product of a multi-sector partnership comprised of Oculus, VARLibraries, Cali Group and the California state library system. Rather than focusing on gaming, which is the primary market driver for VR, this initiative seeks to highlight the educational potential of virtual reality. The pilot will provide several informative, engaging experiences for library-goers to try out for free during their visits. As of right now, the VR experiences that will be available at these California state libraries will be Apollo 11, Google Earth, Titans of Space 2.0, The Body VR, Star Chart, Guided Meditation VR, Ocean Rift, Everest and others. This initiative is good for the VR industry and mutually beneficial for the libraries, as it will increase the amount of youth engagement and overall library attendance. VARLibraries, a network of libraries sharing best practices for implementing virtual and augmented realities, will run daily operations and deployment of the equipment. The participating libraries are excited to have the expensive VR technology provided at no cost to their small budget. The Oculus Rift and touch controllers cost $598, and an Oculus-ready laptop costs more than $1,000, according to the Oculus website. 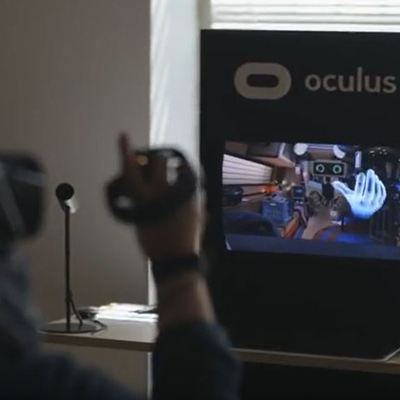 The Oculus VR system also can correct directly to the Oculus mobile application, which contains a diverse range of VR ecosystems as well as opportunities to connect to other users of Oculus VR technology. The current program supports around 10 percent of California’s 1,100 library branches. If the pilot initiative proves to be a popular commodity, the California Library system would then seek additional funds for an expanded operation. Oculus will monitor how often the equipment is used by visitors, and libraries will collect optional survey data. Washington state has already expressed interest in adopting the program in its libraries, indicating a new wave of immersive education in libraries. Learn more about development for the Oculus VR platform and education apps at https://developer.oculus.com/. See the latest information from the Global Virtual Reality Association. To hear more about the Oculus rollout in California state libraries and hear directly from the librarians involved in the project, watch the video.